The renaissance of the cocktail culture is here. In the beginning, its founders fretted that the concept was too specific. “During the first two to three months, we were explaining to people that we do work a certain way.” In the beginning, some customers balked at the idea of bartenders putting their own twist to traditional cocktails. But Niner Ichi Nana decided to enlighten the public and celebrate drinking, like eating, as a communal affair. Filipinos are slowly acclimating, though the local bar culture is still very much in its infancy, with locals leery of interacting with the bartender and the other customers. After all, craft cocktails aren’t solely the dominion of ultra-refined connoisseurs. 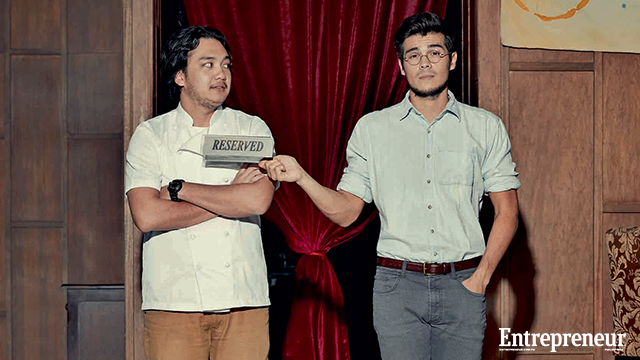 The real question, says Heussaff, isn’t whether a particular customer is a newbie or a seasoned expert. “It’s about who’s open-minded about drinking, and who’s not. But now that Niner Ichi Nana is making converts out of critics, the tide is turning: the bar now entertains regulars requesting drinks made by a specific bartender. That the bar uses fresh, seasonal ingredients and a wide range of techniques and equipment makes all the difference. “Just like with food, a peach in Japan, a peach in the Philippines, and a peach in France have completely different-tasting notes,” he says. This article originally appeared in the August 2014 issue of Entrepreneur Philippines magazine. Minor edits have been done by Entrepreneur.com.ph.